Fifth Grade Mathematics Tasks - Individual tasks per standard for 5th grade. 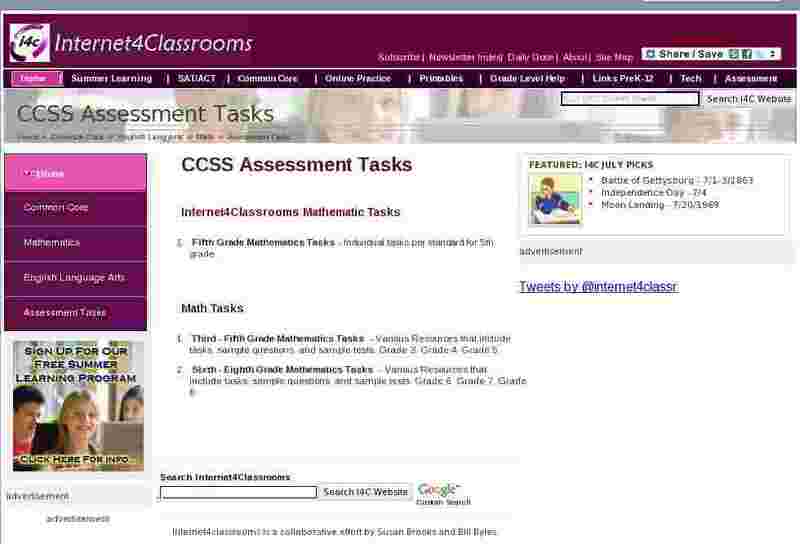 Third - Fifth Grade Mathematics Tasks - Various Resources that include tasks, sample questions, and sample tests. Grade 3, Grade 4, Grade 5. Sixth - Eighth Grade Mathematics Tasks - Various Resources that include tasks, sample questions, and sample tests. Grade 6, Grade 7, Grade 8.